Let The Starfish Story "Sleep With The Fishes"! Starfish Story: "Sleep With The Fishes"! Over the years a number of touching, educational and inspiring stories have been written and told in countless cultures, everywhere… It’s just part of what we do as a society, no matter which part of the world we may live in. Many of these classic tales have then been retold and retold, over and over and over and over and over and over… and over again. Many just don’t realize that the telling and retelling of a great story can actually be a detriment to the storyteller. One such story in particular, immediately comes to my mind, and that is “The Starfish Story”. Since first encountering this story I’ve seen it used so frequently here and there and everywhere, it has actually reached a level of irritation that I imagined could only be attained after enduring the song ”It’s A Small World After All” at Disney World about 150 times in a row. Professional Speakers, trainers and presenters across the planet read “The Star Thrower”, and due to the universal relatability contained within, far too many began sharing it with their audiences in such a way to make it seem that they themselves wrote it, and the impactful tale was indeed “their story”. It’s a well-known fact that even some of the biggest names in the speaking industry have told The Starfish Story as a part of their programs at one time or another; not all as if it were ‘their own’ of course, but the reality is, leaning on this story as a cornerstone to a presentation has abundantly been a foundation for many emerging, and even established, speakers. The result of this ‘overuse’ has sadly negated the power of the lovely story. It’s become (rather unarguably) the best example of a story that if heard once, is impactful; heard twice, is interesting; but from the third time and beyond, is annoyingly and unforgivably pedantic. Be A Great Storyteller… of your own stories! the time (and often money) they invested to hear something that might genuinely enrich their life experience. Speakers and trainers have the professional responsibility to use their own unique stories and (or, if necessary) sprinkle in elements of another’s story, but ALWAYS relying predominantly on their own best creative storytelling and researching skills. The Starfish isn’t the only one out there that is used and abused by speakers and trainers, even to this day. Let’s not overlook “The Chicken and the Eagle”, “The Battleship and the Lighthouse”, “The Frog in Boiling Water”, “The Old Engineer and the Hammer”….. Need I go on? Google them if you like, read them and enjoy one time, then forget you saw ever them. they share authentic, first-hand real life examples, or skillfully weave in well-known tidbits researched and credited to others. It’s the best – and ONLY – way to separate yourself from the chaff, and potentially become a legend in your own time. In closing my dear friends, it is my hope with this article, that we all will finally agree it’s time the let The Starfish Story ”sleep with the fishes” (obscure call back to the Godfather, which I hope some other author didn’t use in the article your read before this one! ), and allow it to enjoy a much needed rest. 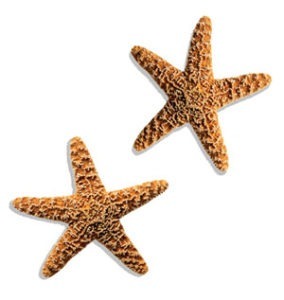 Having been a subtle advocate for the retirement of ‘shareware’ stories throughout my career, I’ve gone so far as to hand out starfish pins at NSA conferences in an effort to make a quiet yet necessary point (which was of course to encourage the cease and desist of unoriginality). Not being satisfied with the overall results of these efforts, I recently decided it was indeed appropriate (for the sake of the industry and eager audiences around the world) to throw subtly out the window and simply go all out. The Starfish Story Retirement: Help Needed! delighted when he agreed to participate, and I hope those reading this will take a moment to watch this unique, self-help video that could change your life so that you might then be inspired to invigorate your own innovative ways of helping change the lives of your audiences. 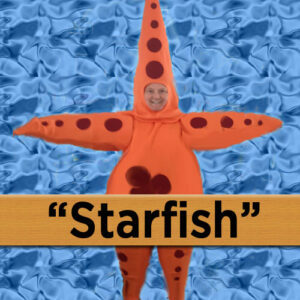 The video is, in essence The Starfish Story from the point of view of the starfish. The Moral Here: Tell your own stories, my friends. But tell them really well. Do it so well they become your signature stories and no one can copy you or them – ever. 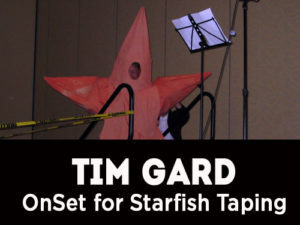 Tim Gard is a fall-out-of-your-seat funny speaker who has shared his seminars over 2000 times globally and is an author and member of the Speaker Hall of Fame. Please use the links above to stay connected with him, or share his stories, on facebook, twitter and LinkedIn! Want to learn more about my path into the world of paid public speaking and how this philosophy brought my career to the elite status of CPAE Speaker Hall of Fame? Check out my latest DVD releases here & Check out my Coaching Services! Be Sure To Visit Tim’s “FUN” Page For More!